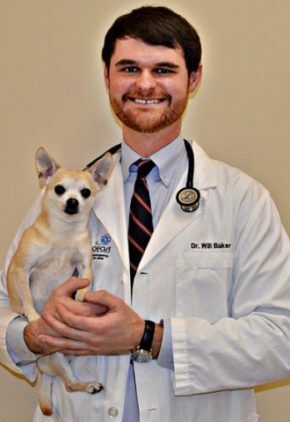 Dr. William Baker's clinical interests include gastroenteritis in dogs, toxicities, and feline lower urinary tract disease, especially obstructed cats who can’t urinate. Some of Dr. Baker’s favorite pastimes include reading, biking, running, SEC football (University of Tennessee), and music. 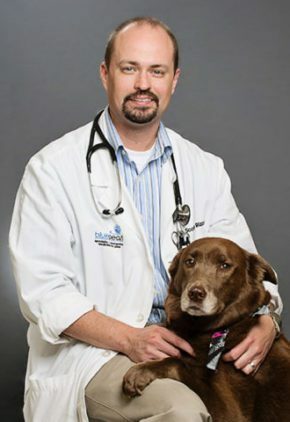 His wife is a board-certified veterinary clinical pathologist, and they have two Chihuahuas, Hans and Minnie, and Roo, a shepherd/sheltie mix. 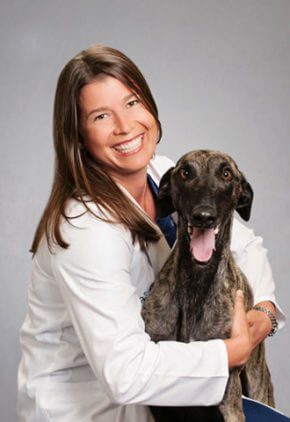 Dr. Grace Clark's professional interests include abdominal ultrasound, fungal disease, urinary work-ups, interventional procedures, and hyperbaric oxygen therapy. 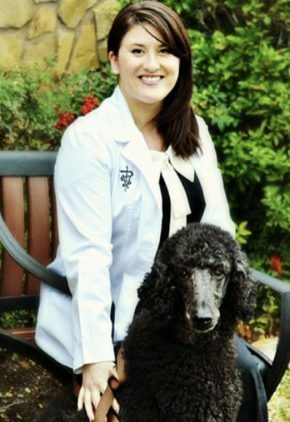 Dr. Clark enjoys outdoor time, like hiking and fishing, with her husband and black lab Tracker. She and her husband have one child. Dr. Casey Clements is part of our emergency medicine training program for clinicians. Dr. Clements’ favorite pastimes include all types of exercise, trying new restaurants, cooking, going to the movies and cheering on the UNC Tarheels basketball team. She has two cats, Toby and Archie. 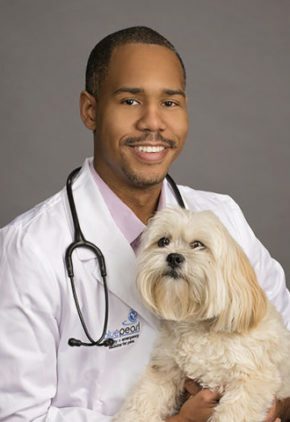 Dr. Forrest Cummings' clinical interests include pancreatic, renal and upper respiratory disease and gastroenterology. He has found success in incorporating immunotherapy and hyperbaric oxygen therapy to help in the long-term management of these cases. Dr. Cummings enjoys reading, gardening and playing basketball and video games. He and his wife have one son; two dogs, Kona and Guri; and one cat, Cappuccino. Dr. Bethany Fackler’s clinical interests include pain management, acupuncture, mechanical ventilation and trauma cases. Dr. Fackler enjoys yoga, aerial arts, live music and traveling. She has a standard poodle named Sir Didymus. 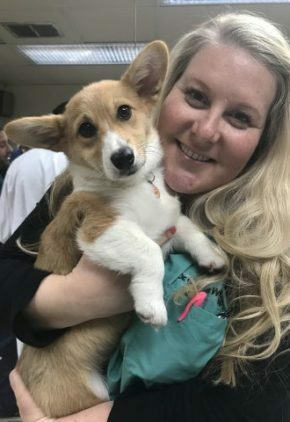 Dr. Rachel Herwick is a small animal medicine and surgery intern. 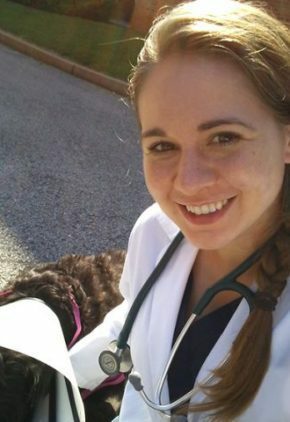 A fan of international travel, Dr. Herwick is also passionate about international veterinary mission work. Her dog, Calliope Rhea, is half Australian shepherd, half Jack Russell, so full of energy. Dr. Euan Murray came back to veterinary medicine after an illustrious career as a professional rugby player in both Scotland and France; he represented Scotland in two rugby World Cups. 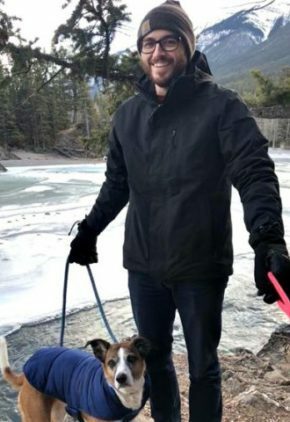 After completing a rotating internship focused on large animals, he is now a small animal medicine and surgery intern. Along with rugby, Dr. Murray’s favorite pastime is spending time with his wife and children. He also likes lifting weights, looking for and eating porcini mushrooms, and honing his archery skills. Dr. Murray has volunteered as a public speaker at churches, schools and prisons, and has participated in community outreach at hospitals, homeless shelters and church cafes. 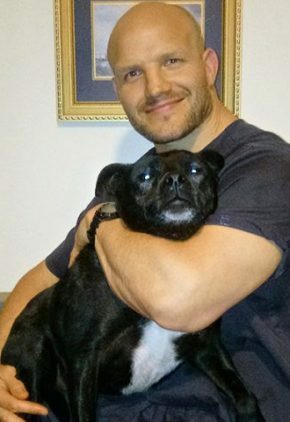 Ridley is the family's Staffordshire bull terrier. Dr. Stephanie O’Connell is a resident in our internal medicine service. Her clinical interests include diagnosis and management of endocrine disease, immune-mediated hematologic diseases, and hepatic disease, as well as ultrasonography and endoscopic procedures. Dr. O’Connell enjoys kayaking, playing volleyball and running. She also likes travel, exploring restaurants and attending concerts. She has a calico cat named Trixie. Dr. Tyler Pelfrey enjoys treating lacerations, intestinal foreign bodies and patients in Addisonian crises. Dr. Pelfrey’s favorite pastimes include rock climbing, running, camping and farming. He and his wife, also a veterinarian, have three dogs, mixed breeds Thumper and Olive, and dachshund Chet. 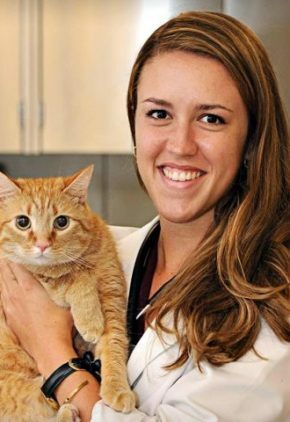 Dr. Alexis Pennings is a small animal medicine and surgery intern. Dr. Pennings is a fan of outdoor activities like hiking and horseback riding. She also loves movies, classic literature and amusement parks. Daisy is her mixed breed dog. 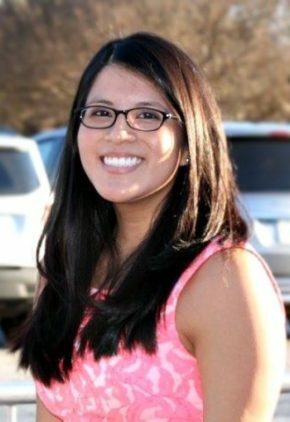 Dr. Anna Richburg is part of our emergency medicine training program for clinicians. Dr. Richburg’s pastimes include tennis, running, hiking and exploring local parks and trails. She also enjoys watching Netflix with her Papillon, Kiwi, who loves to run and play with squeaky toys. Dr. Rebecca Rittenberg is a resident in our internal medicine service. Dr. Rittenberg is the author of a Holocaust suvivor memoir, “Hakl Makl: The Life of Arno Erban Before, During, and After the Holocaust.” She loves people, travel, attending plays and concerts, and go hiking with her husband and dog Sababa, a mixed breed. Jondalar is her three-legged cat. Originally an accountant, Dr. Scott Rizzo realized banking wasn't for him. His professional interests include pancreatitis, novel cancer therapies, Cushings disease, and non-invasive diagnostic methods. Born and raised in Louisville, Dr. Rizzo is a fan of University of Louisville sports. He plays golf, racquetball and enjoys bowling as well as spending time with his wife, kids, a border collie named Lady and a betta fish named Fish Stick Senior. 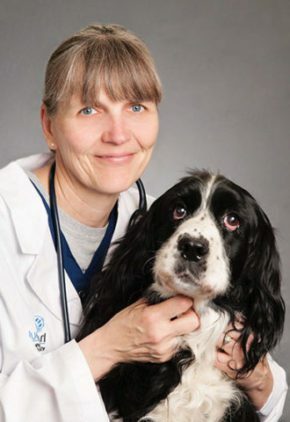 Before joining our team, Dr. Ruth Schmidtchen worked in both emergency medicine and at a primary care veterinary practice. Dr. Schmidtchen enjoys exploring the canyons and national parks in the southwest states. 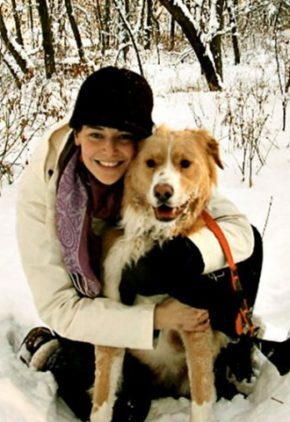 She enjoys skiing, hiking, backpacking, running and spending time with her two dogs and three cats. 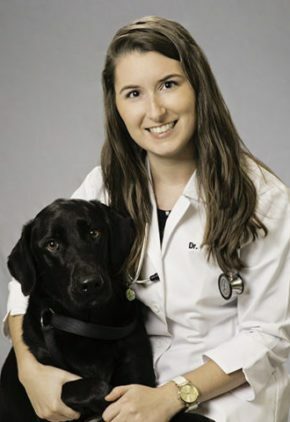 Dr. Erica Tolar has published and lectured on equine as well as small animal corneal diseases and frequently volunteers her ophthalmology services for the Louisville Zoo, where she has treated gorillas, sea lions, antelope, lemurs and hawks. She is also the veterinary advisor and on the board of directors for the American Sloughi Association. Dr. Tolar is currently working on developing a DNA test for inherited cataracts in the American saddlebred horse. Dr. Tolar and her husband share their home with three dogs, three horses and a bird. She is also an avid saddlebred horse enthusiast and gardener. Dr. Cecilia Winthrop is particularly interested in neurosurgery and minimally invasive surgical procedures, such as laparoscopy, arthroscopy and thoracoscopy. Dr. Winthrop is an arts and sailing enthusiast. She has a lab/Irish wolfhound mix and a golden retriever. 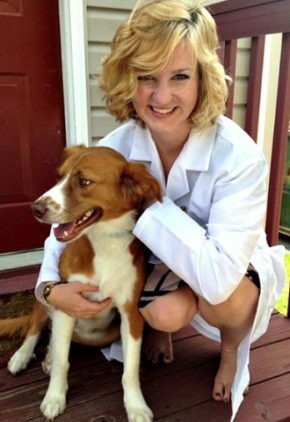 Dr. Stacey Woods is a small animal medicine and surgery intern. 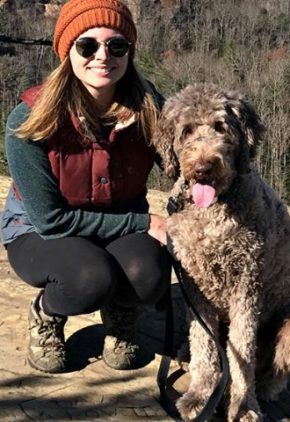 Dr. Woods enjoys hiking and camping with her labradoodle Barleyman.